We are in the Inuvik airport now, waiting for our flight to Tuktoyaktuk, which has been delayed at least an hour due to pea-soup fog. Thankfully, the airport has free Wifi. Knowing that you have all waited your entire lives for a tour of the Inuvik airport, I thought I’d include some shots. 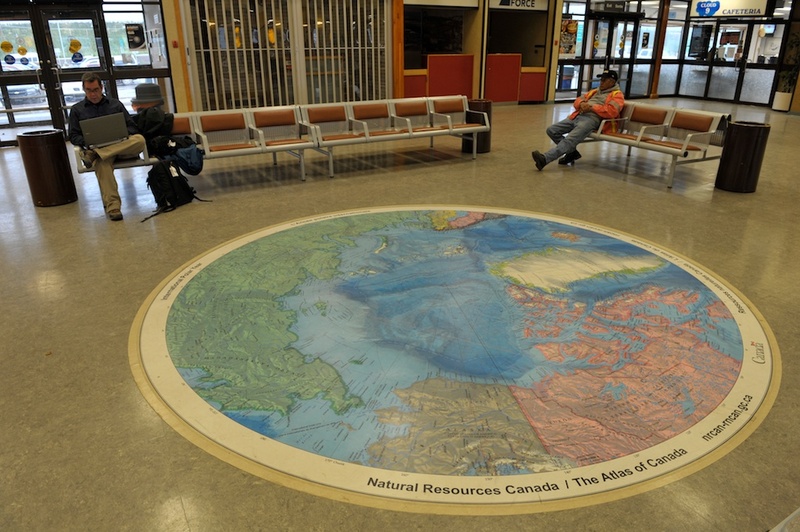 Inside the Terminal building there is a terrific map of the Arctic. The pink is Canadian territory. We are located at the top left of the pink area. If you want a better view of where we are in relation to the North Pole, take a gander at this video I made of the map, showing the entire circumpolar region. I try to trace our route from Whitehorse, Yukon Territory, to Dawson City, then up the Dempster Highway to Inuvik, then to Tuktoyaktuk. It’s sobering to think that, as far as we’ve come, the actual North Pole is still 2,000 miles away! Scary!! 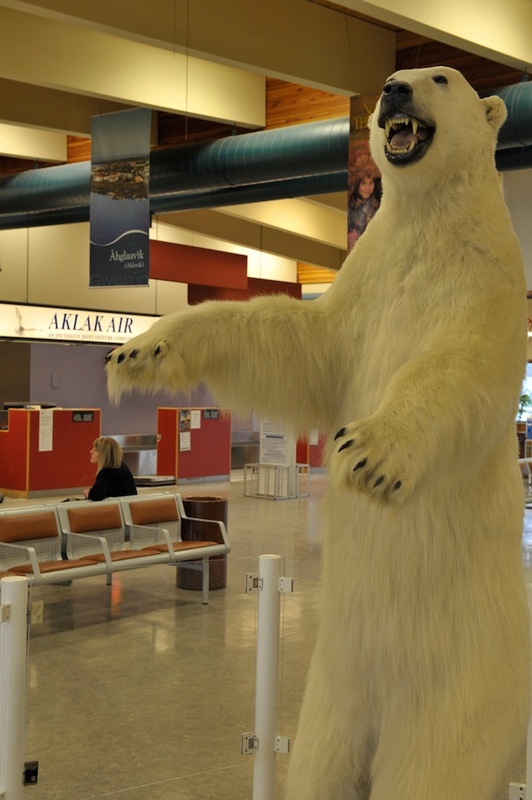 Also in the Terminal building is this polar bear which, by the way, was NOT killed for the making of this diorama. It was found dead on the ice and put to good biological use.